Tom Ford Cardigan in the window of Mercken, Antwerp, Belgium, in 2008. Tom Ford is Bond's tailor for Quantum of Solace (2008), SkyFall (2012) and SPECTRE (2015). Actor Daniel Craig is reported to have ruined around 40 bespoke suits during filming of Quantum of Solace. "It really is a crime. It makes me weep every time. They're great suits," Craig told the British press. Tom Ford was very secretive about the items that were used in Quantum of Solace, but one item is confirmed: a black Cardigan. This cardigan was available in the exclusive Tom Ford retailers but is now sold out. (update December 2016: a Tom Ford cardigan is being offered on the AJB forum sold for $1400). Another item, is a grey coat which bears the name "James Bond". 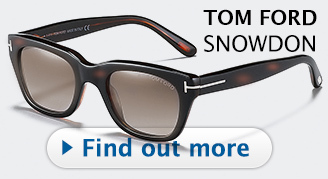 It is the only Tom Ford clothing item (besides the sunglasses) that was branded as a "James Bond" item. It resembles the coat seen in the last scene of Quantum of Solace, although that one is dark blue or black. Other Tom Ford items included the blue jacket seen in the fight scene, ties, and of course the Tom Ford TF108 sunglasses. Tom Ford worked closely with SkyFall costume designer Jany Temime to create a range of made-to-measure tailored clothing, eveningwear, suits, shirts, knitwear, ties, accessories and eyewear (sunglasses). Tom Ford, President and Chief Executive Officer commented, "I could not be happier to be dressing Daniel Craig again in the next James Bond film. James Bond epitomizes the TOM FORD man in his elegance, style and love of luxury. I am thrilled to move forward with this iconic character." Bond wears a Tom Ford tuxedo, Tom Ford suits, neck ties, cylinder cufflinks, crest cufflinks, mother-of-pearl cufflinks and Marko sunglasses in SkyFall. Tom Ford representatives have announced to Bond fan David Zaritsky that the two new styles of suit Craig wears in SkyFall are the Falconer and the Wetherby. The Falconer is a slim suit that Colin Firth wore in A Single Man. Besides the Falconer and Wetherly suits, Bond also wears a black coat and grey scarf by Tom Ford in the last scene. Bond is wearing Tom Ford suits, shirts, ties, and sunglasses in SPECTRE. See a selection of the Tom Ford products in SPECTRE here. Tom Ford is an American fashion designer who gained international fame for his turnaround of the Gucci fashion house and the creation of the Tom Ford label He also directed a movie, the Oscar-nominated film A Single Man. Read more in the book Tom Ford. Tom Ford clothes can only be acquired at selected retailers. This item is nowhere to be found. 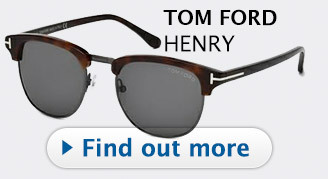 However, if you don't mind a different color, Orvis has one very close to Tom Ford's. a thousand euros for knitwear , yeah right , not on his salary! You do realise that James Bond is a fictional character. er no i didnt linton, i thought he was a real secret agent. thanks for pointing it out though! First of all, Ian Fleming's books they never mentioned who made Bond's suits. It was always mentioned however that it was a shop in Savile Row in London. Not Italy like all of the Brioni and Tom Ford (which are made by Ermenegildo Zegna which by the way are excellent I own a couple) suits originate. Bond's original shirts and tweed jackets and ties were made by Turnbull & Asser as worn by Sean Connery. After looking at the inital press pictures Bond never would have worn a Suit with such awful shoulders. They need to get back to Bond's core character. I cannot see bond saying I think I will buy a suit from the guy who designed flourescent sweaters and stocking for Gucci. Fleming mentions numerous times where Bond gets his cash from. Only a small percentage actually comes from his salary, most of it he has as a result of his gambling addiction. Read Moonraker and you'll see that Bond has quite the retirement fund. 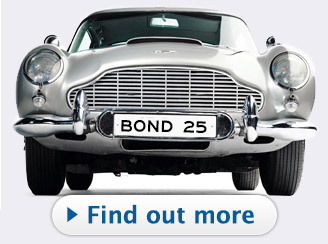 Also, its assumed that Bond buys these things because he appreciates the finer things in life. These are his simple pleasures, and it's a very English thing to do, especially in the post-war period when you could actually get a Saville Row suit for an affordable price. 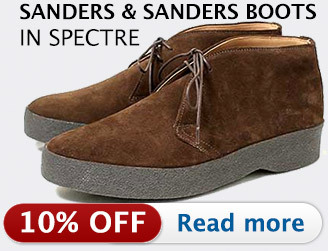 If bond is going to literally spy around with extremely wealthy men, he has to look the part and act the part. I'm obviously speaking of the literary Bond. fair point but i just dont think he would be so profligate as to spend Â£1000 on a sweater when he could be in john smedley cashmere or the like. his original style (connery in frwl ) came from the director terence young who had served as an Irish Guards officer and took connery to his tailor in conduit street, hence his military fitted style. and as for that horrible overcoat!........yuk. 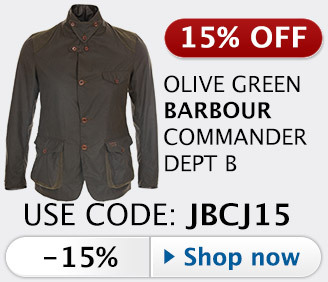 a cordings covert coat would be more stylish along classic lines and obviously half the price! more money to spend on dinner in scotts with his lady friends. 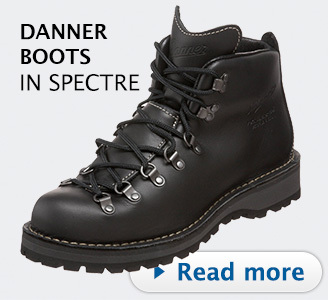 From James Bond Quantum of Solace, as worn by daniel Craig, the 108 model. This exclusive sunglass comes in a James Bond 007 sunglasses case with a James Bond 007 cleaning cloth. This all comes presented in a James Bond 007 exclusive presentation box. A must have sunglass for the James Bond enthusiast. The cardigan....no words to describe it. Don't know if it's Craig or the cardigan itself, but there is something about it, Wish I could afford one for myself - and I am a girl! You can get this same style of Cardigan from Marks and Spencer for Â£ 35 in Black, why pay that high price for a Tom Ford one! The fashion and style of Daniel Craig in both Bond movies is copied from what Steve McQueen wore 30 years ago or so. Go take a look at William Claxton's Book on Steve and you will see. There is a rumour that Daniel may be playing Steve in the film of Steve 's life. Nice find Derek! Anyone know of a similar coat like the one at the end of the movie (without the Tom Ford price tag of course)? That's my pleasure, he is the link, you may find a similar coat there! I am an Actor and worked on 4 Bond movies. Thought you guys would like to know that. That's awesome that you've been given the opportunity to act in a Bond film! I would give a lot to be in a film. I have stared in a commercial though...My wife and I auditioned for a modeling/acting position, but got cut before the final round. Oh well. Anyways...Thanks again, Derek! Went and saw the movie again. Anyone know of the jacket he's wearing in the desert or the black one he takes from the guy's closet before he leaves the hotel (picks up the briefcase scene)? The Jacket which Daniel is wearing is based on a Harrington Baracuta which also Steve McQueen used to wear in the 1960's! Tom Ford just copied it! Does anyone know the Black coat (Pea coat or overcoat, single breasted) that bond is wearing towards the end...Length is somehwere around the knees. Does anyone know where to get the carbon fibre looking necktie Bond wears in QOS? I simply have to have it!!! Hey, I would like to know if there is a store online that sells that black cardigan. And it mst be the Black Cardigan from Tom Ford, exactly the same. I would appreciate if I could get an reply on my question and maybe a link to the website if it's possible, Thanks. anyone know where to get the black cardigan by tom ford or a replica one? i live in southern california area. thanks..
Good news! This sweater is again available in TF's spring 2009 collection. I just picked up mine today at Neiman-Marcus. Is Tom Ford really worth it? Im thinking about buying my first bespoke suit from them in a year or so after I graduate and am wondering if Ford is all it is cracked up to be? And does anyone know any details about their product line and list of bespoke services? Because their website is pretty worthless. We haven't had much exposure to Tom Ford here in England, although I haven't seen any bad reports anywhere regarding his quality.Tom Ford has probably gained much from the product placement which makes me assume that Oswald Boetang would enjoy the same exposure. It's great trivia to know exactly what Bond wears and also sets a benchmark for the correct details.However ,as other authors have correctly pointed out, there are many alternatives of high quality from other tailors and suppliers. Surely it's better to dress like Craigs Bond and not as Bond because you might end up looking like your going to a fancy dress party - and look too obvious. The Thomas Ford clothing line, almost no matter what he does, is amazing. The only problem is those of us that can't afford it. But, if you can, all of it is great! just got a Cardigan from Zara- bloody close! anyone who wants one should check it out! I HAVE JUST PURCHASED A CARDIGAN FROM BRITISH BRAND 'HACKETT' IN NAVY BLUE. SUPERB QUALITY AND FIT WITH NICE BROWN BUTTONS WHICH I WILL WEAR IN VENICE NEXT SPRING ! They only reatil for £59 and £60. Brooks brothers puts out a shawl collar knit cardigan thats very similar to this one. Its a little more military style but still very bond. I just grabbed one for 150. For anyone living in Australia, I found a cardigan at Saba in their 2010 Winter range that is almost identical except it is slightly longer in length. It is available at David Jones and the Saba boutique on Hay Street in Perth for $169, comes in black or grey, I picked one up yesterday! I heard that the black Tom Ford cardigan is still available in New York and Milan. I found a member on eBay that has a huge stock of very similar sweaters. The only difference is that they are made of lightweight cotton but they have the same look including the shawl collar. This member also has a slim fit dress shirt to go with it. The sweater is about $15 and the white shirt is $18. I have no idea about the quality of these items but I ordered them both so I will keep you posted. 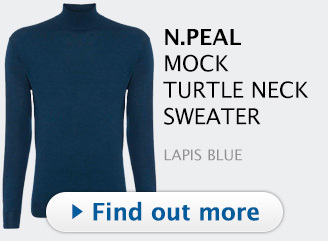 Reiss have recently released something quite similiar but in Navy. Only £125 and quite a snip. I would like to ask if anybody knows what coat is daniel craig wearing in Quantum of Solace, while he was getting out of the range rover and walking up stairs to meet M, in Michel's apartment. I really loved that coat and i would like to buy a similar one ! Received it today - very good quality, close resemblance and at a great price with free postage - pretty hard to be beat. Just bought the shawl cardigan from the Tom Ford boutique in Vegas. $1,900 bucks, but worth it in my eyes. Call them and see if they still have it. Tom Ford Shawl Cardigan from Quantum of Solace. Dark Brown, Italian size 56. Contact me if interested. anyone know where i can find a similar sweater? the closest i found the ben sherman one that was posted but i cant seem to locate it. FYI for anyone still looking... the cardigan is again available for pre-order on the Neiman Marcus website. Ships in early October. 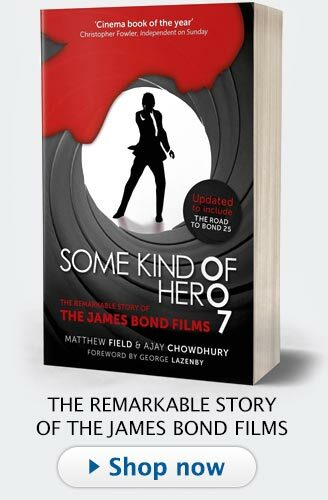 Curiously the copy only references Steve McQueen and doesn't mention Bond or Craig as many other Bond-related items do like the O'Connor suits.